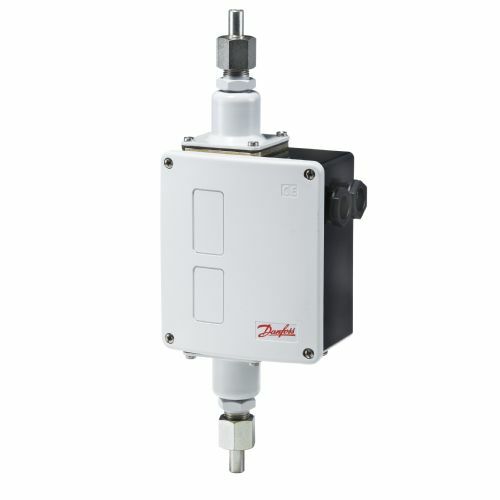 RT differential pressure switches with IP66 enclosures are designed for general industry and marine applications. These switches have a pressure range from 0 to 11 bar, have an adjustable differential, and a replaceable contact system. These are available with marine approvals, gold-plated contacts and a min. and max. reset function.